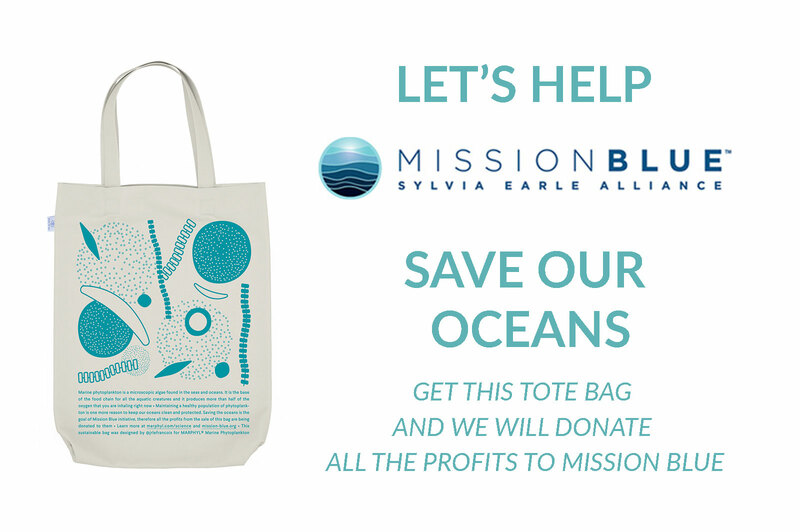 Today’s interview is with Jackie Tsang, the newest member of MARPHYL Marine Phytoplankton Ambassadors team. 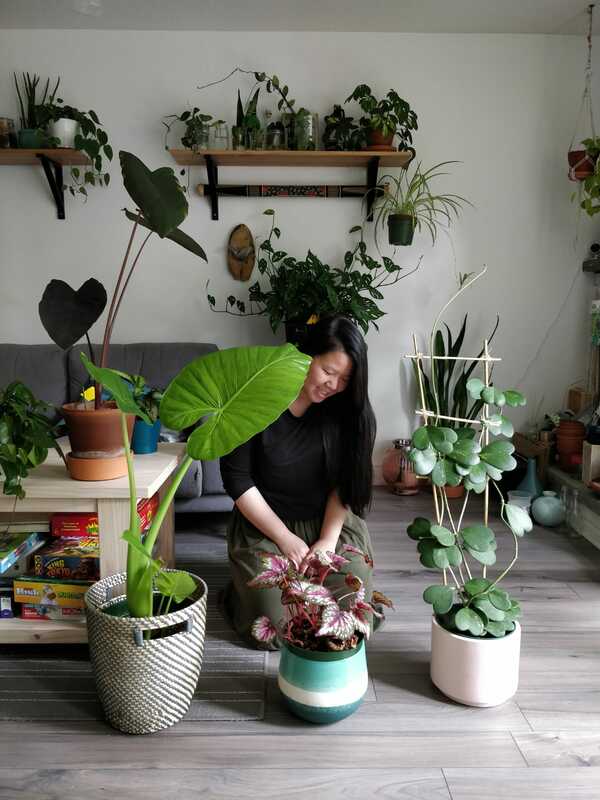 In it, Jackie shares some valuable tips for plant aficionados and explains why it is so essential to meet fellow plant lovers in real life. In addition to her love for houseplants, Jackie is a passionate artist; she creates beautiful plant-inspired paintings. For all of that and more, scroll down! Please tell us a little bit about yourself – what are your occupation, your passions, and interests? I am a full-time UI/UX Designer (a.k.a “make websites more user-friendly person”), a part-time seminary (bible school) student, Etsy seller, wife of a pastor, Jesus follower and your crazy neighbor who befriended a wild squirrel. I also love baking, and my favorite go-to is my melt-in-your-mouth chocolate chip cookies! 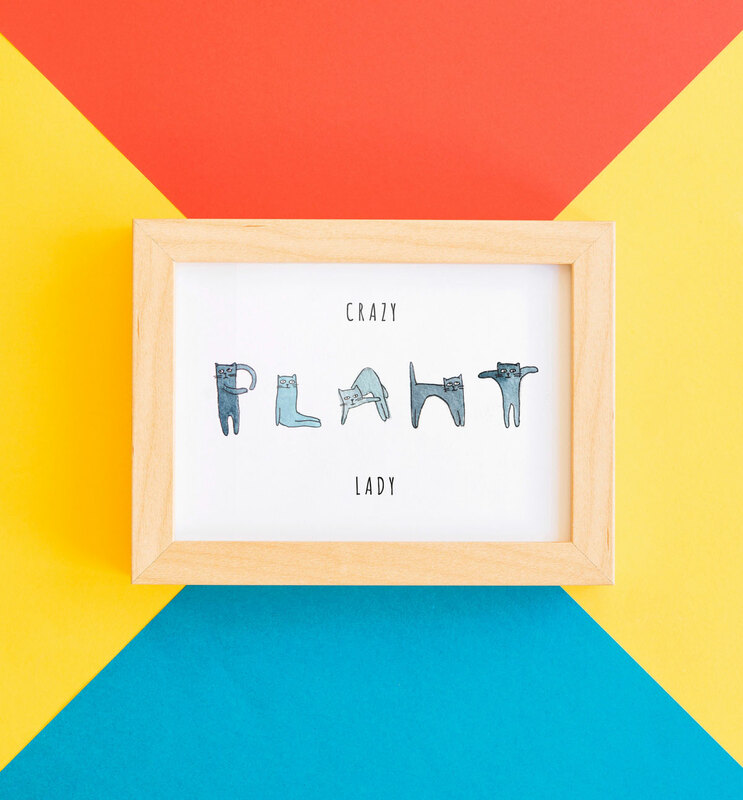 How did your passion for plants start? I grew up in a Hong Kong apartment where my mother has a little balcony garden. 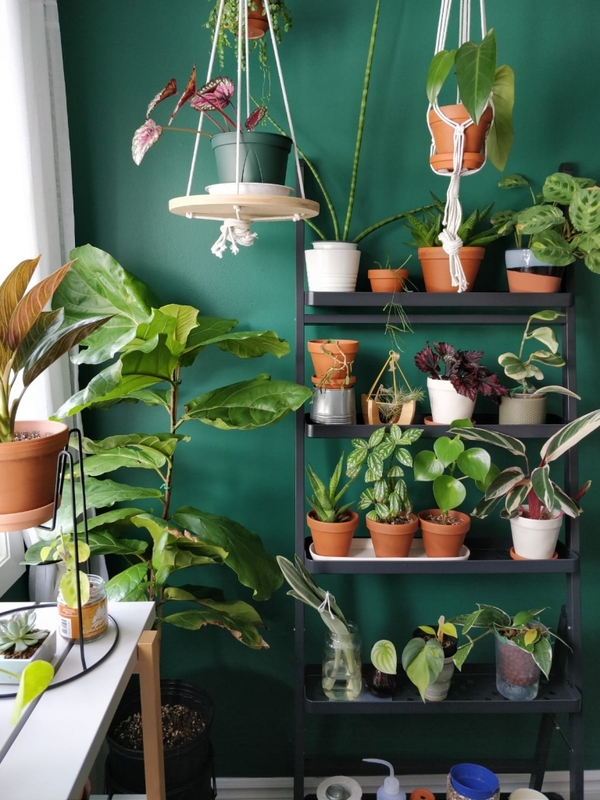 She would take me shopping for plants at the most amazing ‘plant street.’ However, my plant passion didn’t grow to its full size until my husband and I bought our first house in 2017, and I needed some plants to fill in the empty room. I started with only 10 “easy” plants from a typical list on Pinterest. How many plants do you have at the moment? I don’t know exactly, but last time I checked, it was around 110. I try to keep it not more than what I can handle. At one point, too many plants were dying on me, and I knew it was time to give some away! Which plants do you find most challenging to care for? Ferns and everything else that needs high humidity. They’re hard because it’s almost impossible to keep up with the humidity level they require and not to have fungus gnats take over my house! I choose plants based on how much of a pest magnet they are. How do you usually acquire your plants? Most of my plants are from two of my favorite local nurseries (Valleyview Gardens and Kim’s Nature). However, there’s also this local trading app called BUNZ where I acquired a lot of my plants including my Fiddle Leaf fig and Blood banana tree. I’m also in a few Canadian plant sell/trade Facebook groups where often I find something rarer. 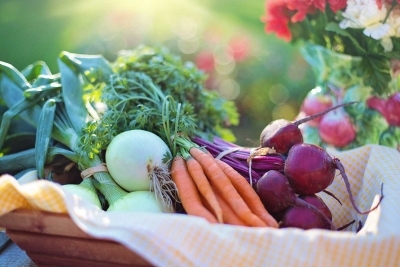 Are there any tips you could give to plant enthusiasts who are just starting? Don’t beat yourself up for killing a plant! 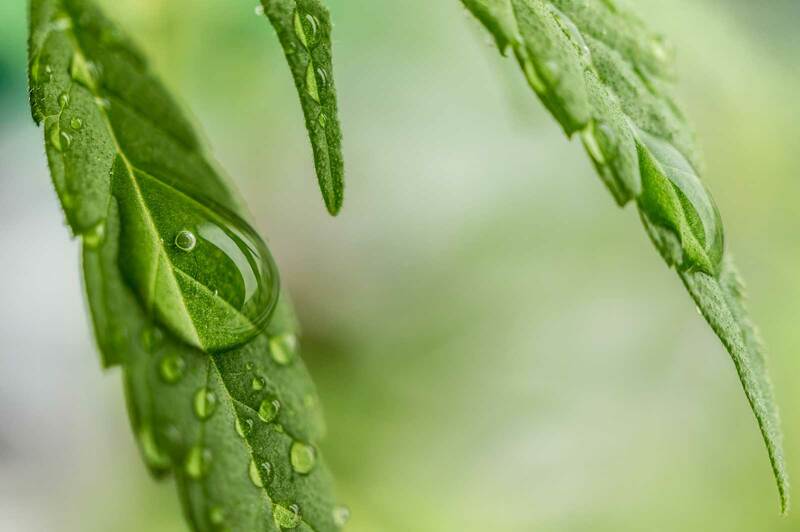 You can read all about plant care on the internet, but when it comes to taking care of them in your own home, it’s mostly trial and error. 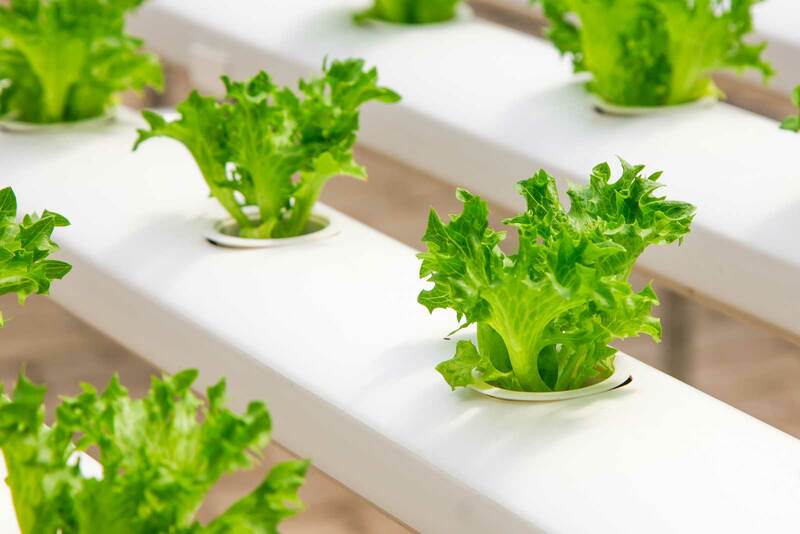 You have to understand what kind of environment the plant grows in the wild, and then compare that to what you’re able to provide it in your home. Most of us who have over 100 plants had probably killed a good amount before we understood what works and doesn’t work in our homes. Also, the “Easy” plant lists on Pinterest are usually wrong! 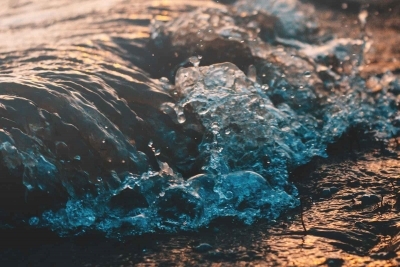 Is there anything you wish you knew at the beginning of your journey? Everyone kills plants. Don’t give up just because you lost one. Eventually, plants will shed leaves; they’re not dying; it’s just nature doing its thing. Don’t spend a lot of money on a massive plant before you’ve tried taking care of a mini version of it. Try propagating plants! You’ll be surprised by how easy it is, especially succulents. Water and nutrients are essential in plant growth. However, no plants can survive a dark corner. Do not put your plant straight into a pot without a drainage hole; it’s too easy to trap water at the bottom, and it will drown the roots. A lot of plants are mildly poisonous, so beware if you have pets or small children. Rare plants that everyone wants will eventually become cheaper and more accessible. Have patience! There will always be bugs in your plant’s soil unless you switch to using soilless planting medium such as leca or straight in the water. Have fun! If taking care of your house plants become a chore, it’s time to let some go. 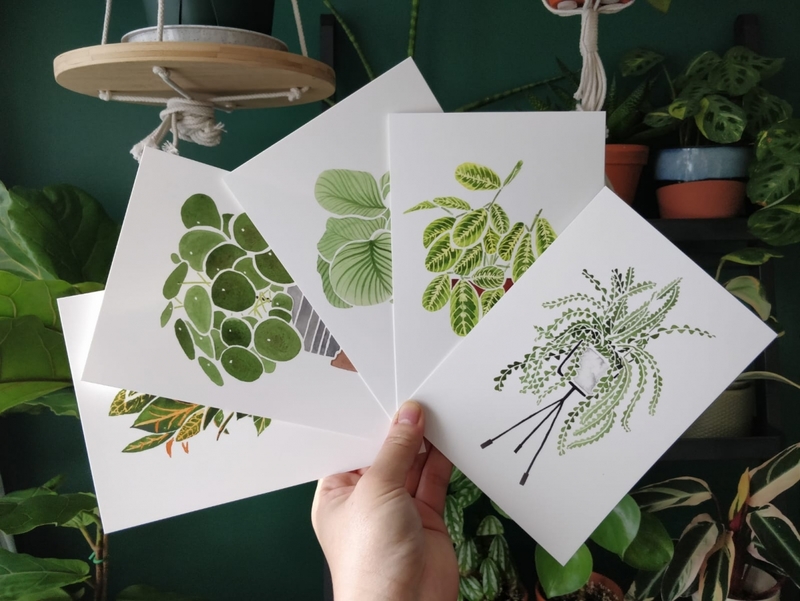 Your plant-inspired postcards are so beautiful! What prompted you to start drawing? Thank you so much! I used to take art lessons as a kid. I started painting a lot more again only about two years ago because I met a nice lady on BUNZ trade platform. After I traded my paintings with her, she encouraged me to paint more and even taught me how to open an Etsy shop. Other than greenery, I also paint cards with cute & silly cartoon cats shaped as letters. My friend calls them yogi cats. Do you want you plants to thrive like Jackie's? Plants rely on potassium to facilitate the circulation of nutrients and on nitrogen as the essential element in photosynthesis, while the roots need phosphorus to thrive. 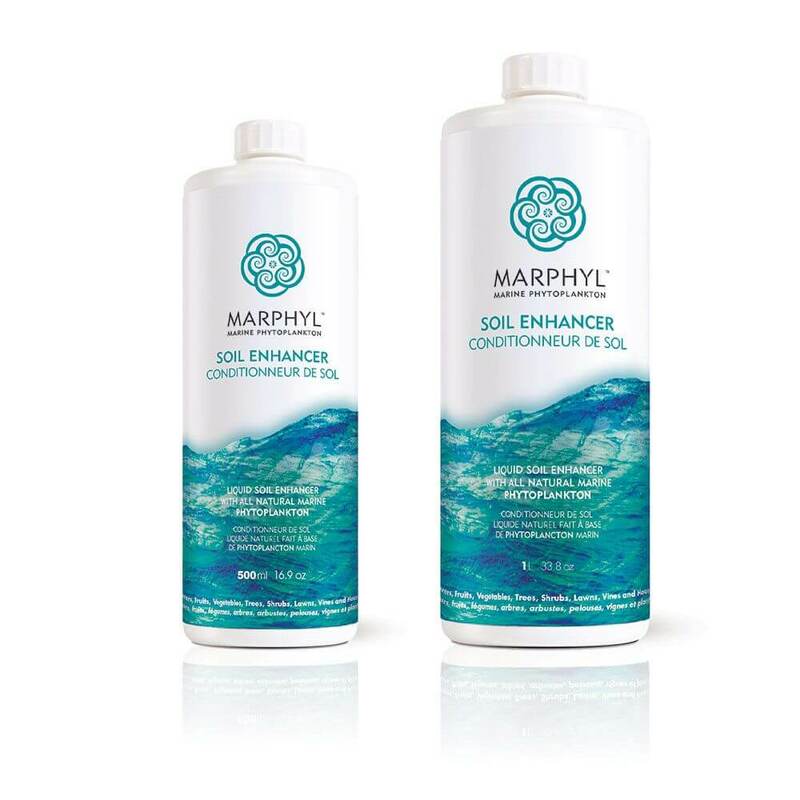 MARPHYL® Soil Enhancer is high in potassium, nitrogen, and phosphorus, and also contains trace amounts of other nutrients, such as calcium and magnesium for optimum plant health and growth. You organize plant swaps. Please tell us why they are important and what one can expect from an event like that. I was inspired by Summer Rayne Oakes from @homesteadbrooklyn to host my own plant swap. I wanted to meet in real life people whom I’ve met through the beautiful Instagram plant community. If you already follow a bunch of plant accounts online, I think it’s important to meet in person to bring our skewed perspective back to reality. The community is first built by real-life interactions! In the last few swaps, I’ve met so many friendly individuals with a genuine love for plants. And even though I’m usually busy running the event, I’ve heard many great stories from people who not only brought home some excellent plants but gained a ton of knowledge from other participants. The most important thing about plant swaps is that you are there to share your plants and have fun doing so! So don’t have high expectations of finding those crazy rare plants on your wishlist, but be open to other plants that you might not even have heard of! For more beautiful plants follow Jackie @homebyfaith and visit her Etsy store. 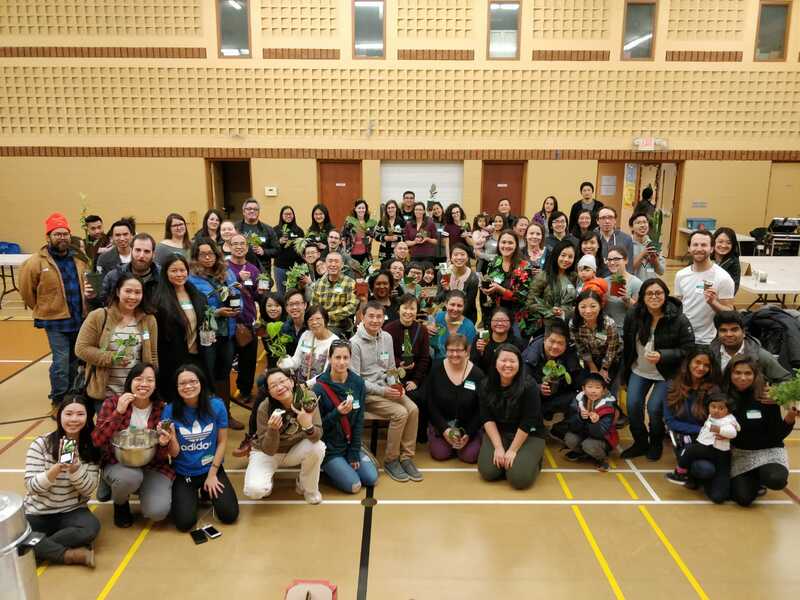 And if you are in Toronto, make sure to attend her next Plant Swap. Stay tuned for more conversations with passionate creatives by following MARPHYL Marine Phytoplakton on Instagram and Facebook and by subscribing to our Newsletter. Do you have a question for Jackie? Or maybe you want to suggest a person or a topic for our next blog post? Leave a comment below! Images by Jackie Tsang, used with permission.